New Duffy and Friends Easter Tsum Tsums Coming Soon to Hong Kong Disneyland! 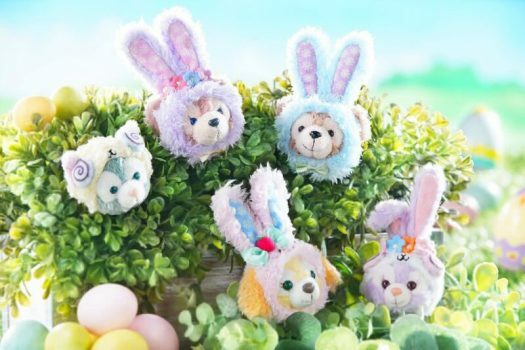 Home » News » New Duffy and Friends Easter Tsum Tsums Coming Soon to Hong Kong Disneyland! The new Duffy and Friends Easter Tsum Tsums are set to be released very soon. The new Series includes Duffy, ShellieMay, Cookie, StellaLou and Gelatoni. Duffy and Friends will be released very soon at Hong Kong Disneyland. No word yet, if or when, the new series will be released outside of HKDL, but as always stay tuned. New Duffy, ShellieMay and Gelatoni Tsum Tsums released at Hong Kong Disneyland! New Tangled: The Series Tsum Tsums Relased at Hong Kong Disneyland! New Tomorrowland Tsum Tsum Collection Released at Hong Kong Disneyland! New Duffy and Friends Easter Tsum Tsums Coming Soon to Hong Kong Disneyland! New Duffy and Friends Easter Tsum Tsums Released at Hong Kong Disneyland! New Duffy and Friends Halloween Tsum Tsums Coming Soon to Hong Kong Disneyland!